Take the opportunity to impress your family members (or escape them) this holiday season by visiting Richard Diebenkorn: Beginnings, 1942-1955 before it leaves the Crocker on January 7. If you know Diebenkorn already, this is a great way to fill in the gaps and gain a deeper understanding of the artist and his journey. For those unfamiliar with the California artist, Crocker Chief Curator Scott Shields calls him “the greatest artist California has yet produced”. Diebenkorn’s earliest works are on view in Beginnings, many of which haven’t been seen in 75 years, and some of which have never been publicly displayed. Follow Diebenkorn’s evolution from a young student to a mature artist, on his journey past landscapes and figurative drawings and through his struggle with Abstract Expressionism. Witness how Diebenkorn drew inspiration from an array of influential artists, including former instructor Erle Loran and his contemporaries Clyfford Still and Willem de Kooning, among others, and take in this seminal artist's earliest works before the exhibition departs. This class is a perfect for the budding artist. Students will complete a take-home work of art at each session. Enroll in as many as you like! Register here. 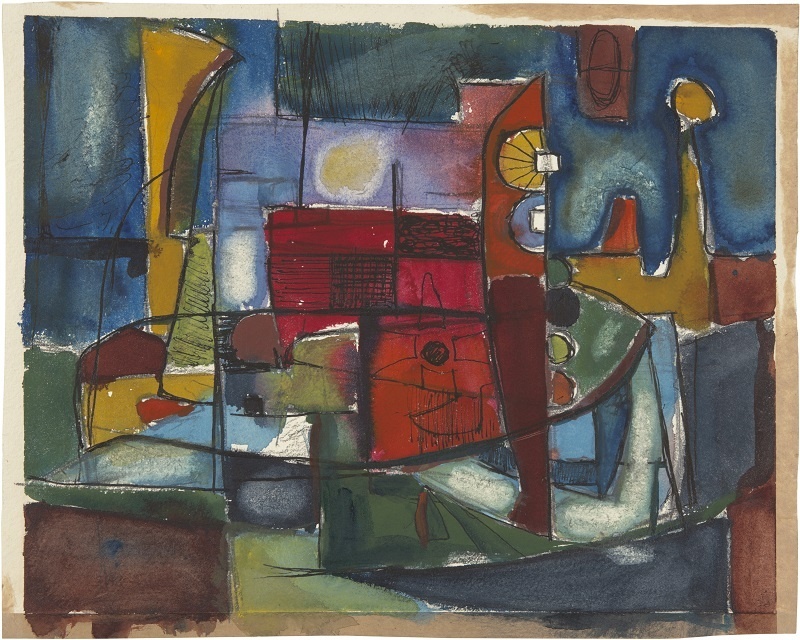 Cover photo: Richard Diebenkorn, Untitled, c. 1945, watercolor, ink, and graphite on paper, 11 1/2 x 14 3/8 in. (29.2 x 36.5 cm). © Richard Diebenkorn Foundation.